Hey there friends! 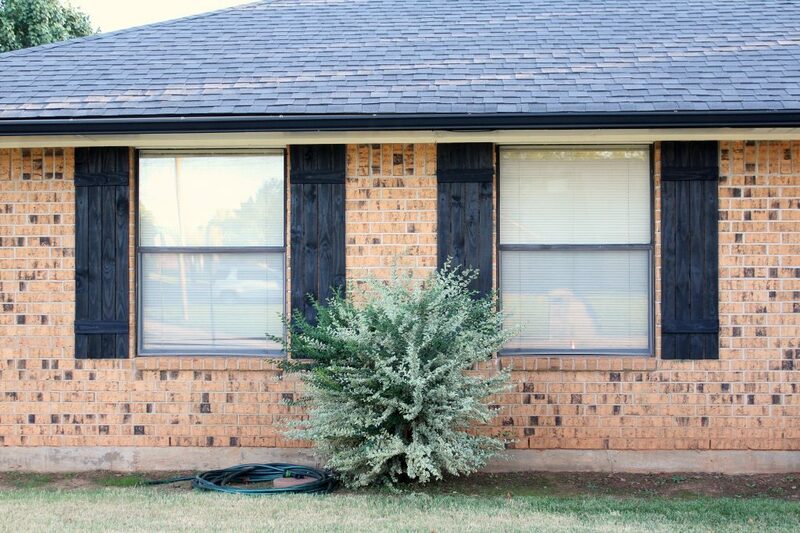 We are still slowly updating our curb appeal as time and budget allows. When I last left you we had cleared almost everything out in the front and we had started painting our trim. 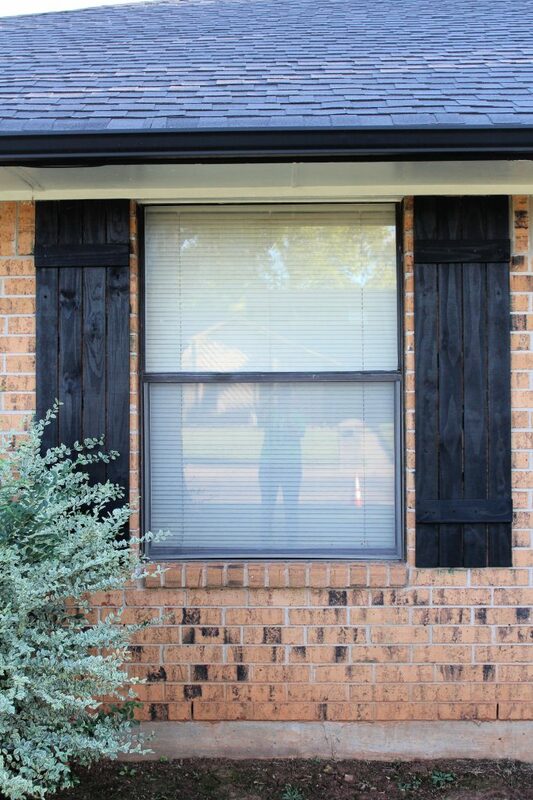 As of today, I still haven’t finished painting the trim, but we did make and install new shutters! From the street I’m not sure if you could tell a difference between the old shutters and the new. But, these are more my style and they are not falling apart. We made them ourselves using fence pickets. Yes, you heard that right – fence pickets. Aside from the fact that the pickets were less expensive than other wood options, but they were also thinner. 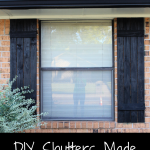 I didn’t want these huge chunky shutters on our home. 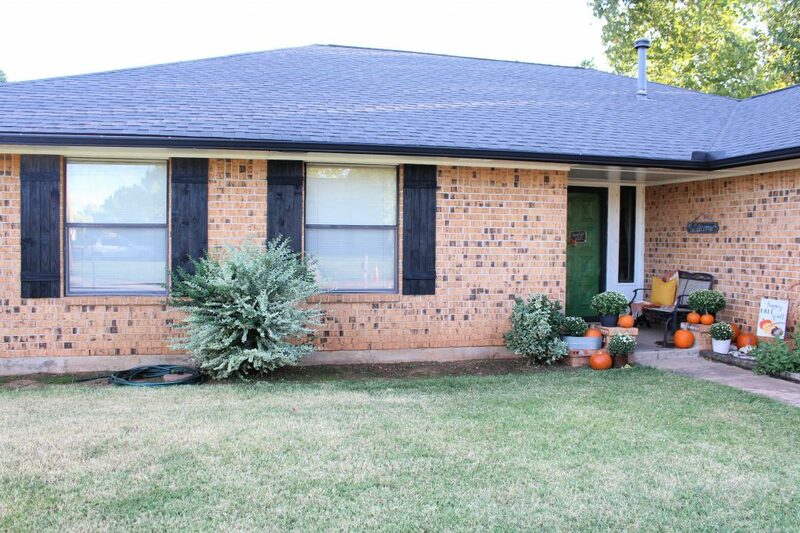 I really just wanted them as a accent to break up all the brick (that I don’t really like). 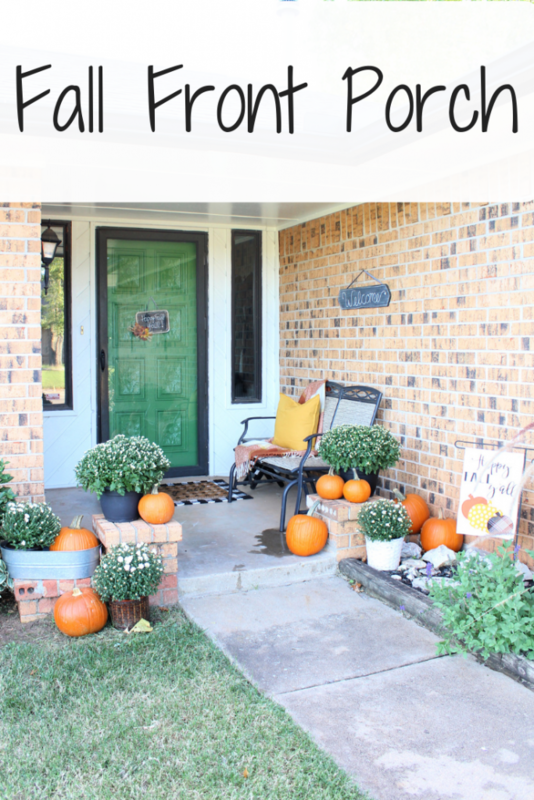 I also took some time to add some fall to our front porch! 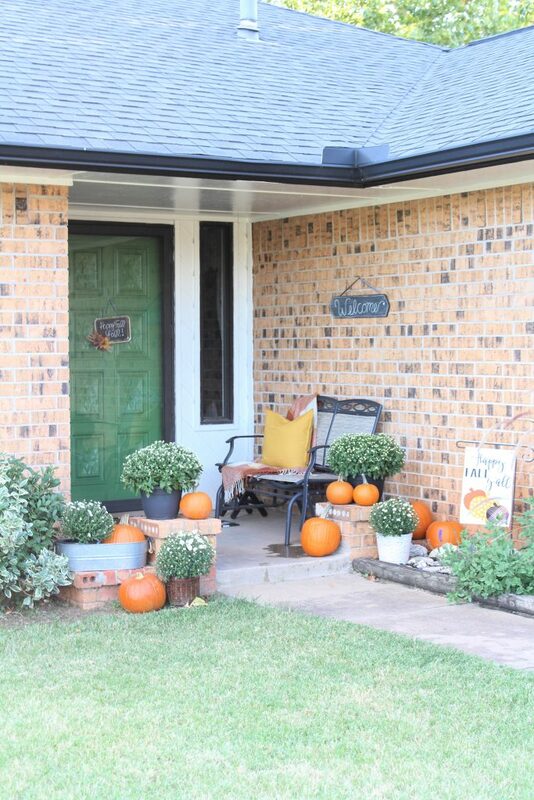 I have been crushing hard on all the pumpkin and mum front porches I’ve been seeing. 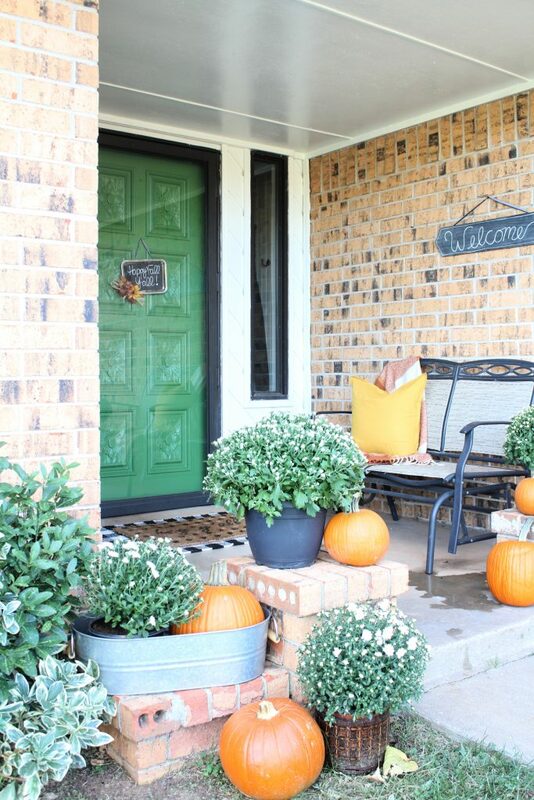 All those homes that line their front steps with pumpkins and mums just make my heart sing!! I don’t have steps but I knew that I could still pull something together. And I LOVE it! I went with traditional orange pumpkins. After all, orange is the happiest color. 🙂 The mums will all be white when they finally all bloom! 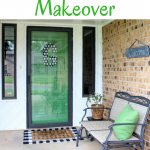 The green door is still making me happy every time I walk up, and I think it will definitely work for all seasons and holidays. 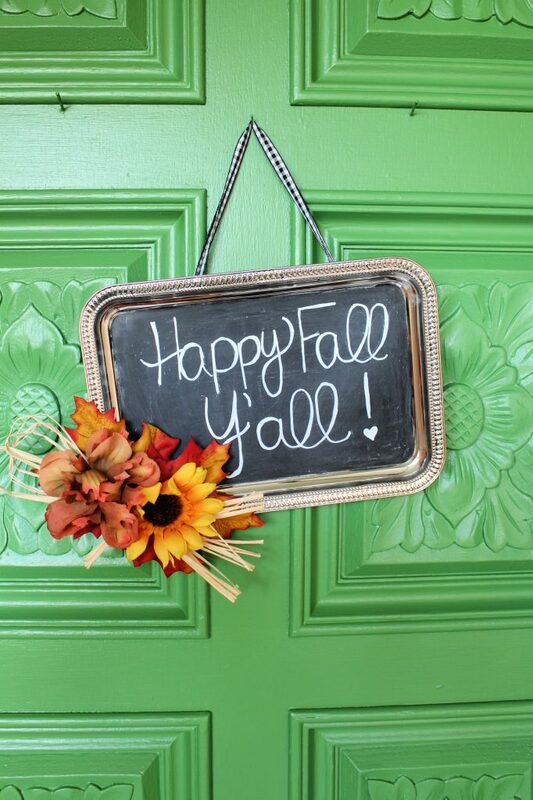 This cute sign I made a few years back using a silver tray from the Dollar Tree and a few fall flowers and leaves. 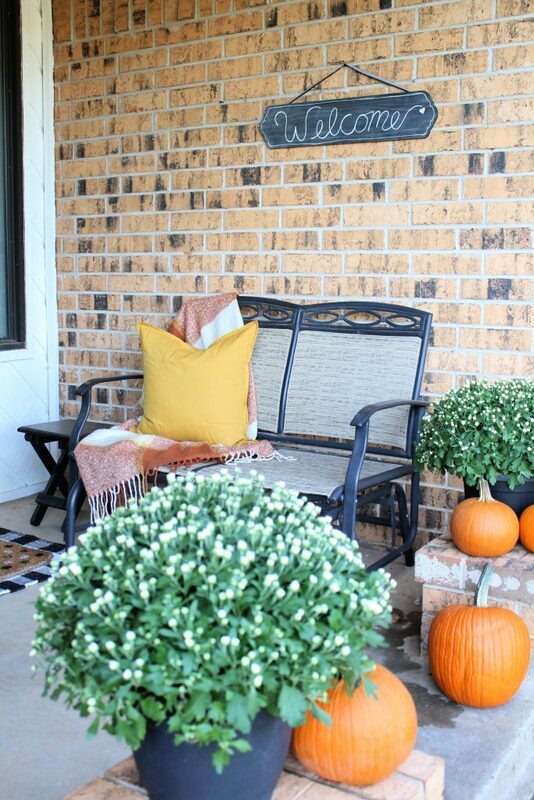 A cozy throw and a fall colored pillow make me bench more welcoming for the season. 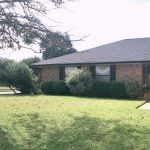 It only takes a few things and a few minutes to make it a place you want to come home to! Have you bought pumpkins yet?? It finally seems to have headed toward the cool trend here in Oklahoma. But, also…the rainy trend. 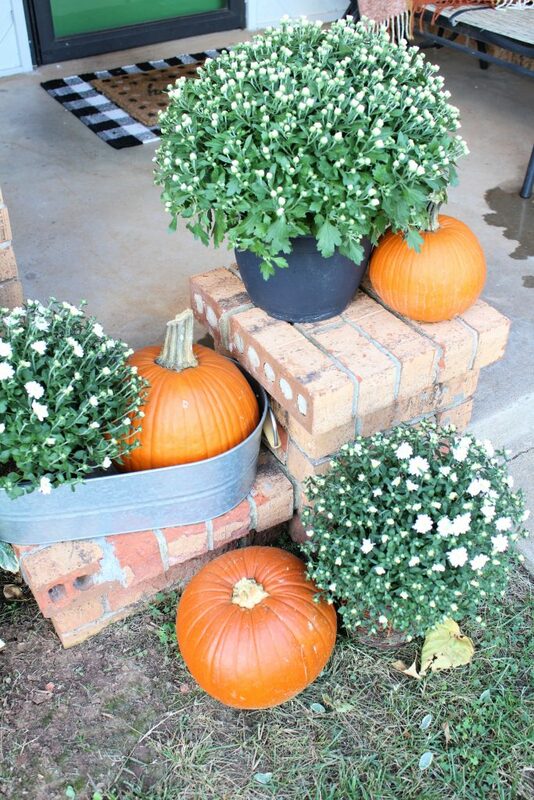 My pumpkins are currently all huddled up on the porch so they don’t get too soggy over the next few days. 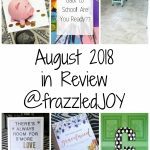 Come back Wednesday to see some of the ideas I have in store for our laundry room makeover!